Products that will fit your company, guaranteed! It might not be bad at first, but over time, making frequent runs to the local copy center will not be the best use of your time when you have a company or business to run. At Major Business Machines, we offer a wide selection of copy machines that will save you time, as well as cut back on outsourcing costs. We’ll help make life at the office a little easier for you. 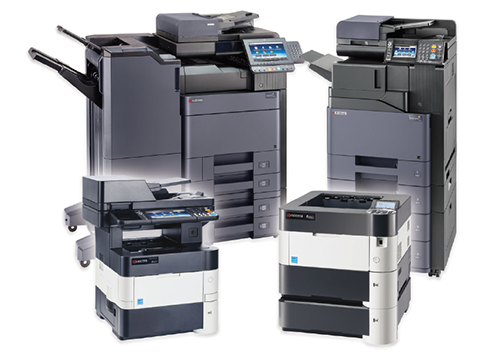 We offer both color and black and white copiers, so you can handle day-to-day document imaging needs, as well as more complex projects. Our copiers are also multifunctioning systems, allowing you to do more than just copy—printing, scanning, and faxing options are available as well. Swing by our Greenville or Columbia locations to see these copiers up close and personal. Designed with you in mind, the TASKalfa 356ci packs exceptional and intuitive functionality into a multi-functional system that is simple to operate and highly cost-effective. Designed with you in mind, the TASKalfa 255ci packs exceptional and intuitive functionality into a multi-functional system that is simple to operate and highly cost-effective. The Kyocera TASKalfa 3252ci takes flexibility and performance to new heights. The Kyocera TASKalfa 3552ci takes flexibility and performance to new heights. The Kyocera TASKalfa 4052ci takes flexibility and performance to new heights. The Kyocera TASKalfa 5052ci takes flexibility and performance to new heights. Designed specifically with the customer in mind, the TASKalfa 6052ci incorporates the flexibility to tackle both your day-to-day document imaging needs as well as more complex color projects with ease. Designed specifically with the customer in mind, the TASKalfa 7052ci incorporates the flexibility to tackle both your day-to-day document imaging needs as well as more complex color projects with ease. The TASKalfa 8052ci is a powerful Color MFP that tackles the most demanding print, copy, scan and optional fax tasks with ease. The Kyocera TASKalfa 4002i takes flexibility and performance to new heights. The Kyocera TASKalfa 5002i takes flexibility and performance to new heights. The TASKalfa 7002i is an advanced Black-and-White MFP that offers the best of all worlds. The TASKalfa 8002i is a high-performance Black-and-White MFP that powers through your most demanding print, copy, scan and optional fax tasks with exceptional speed and accuracy.